WildCat in Jumbo Jet’s spot! 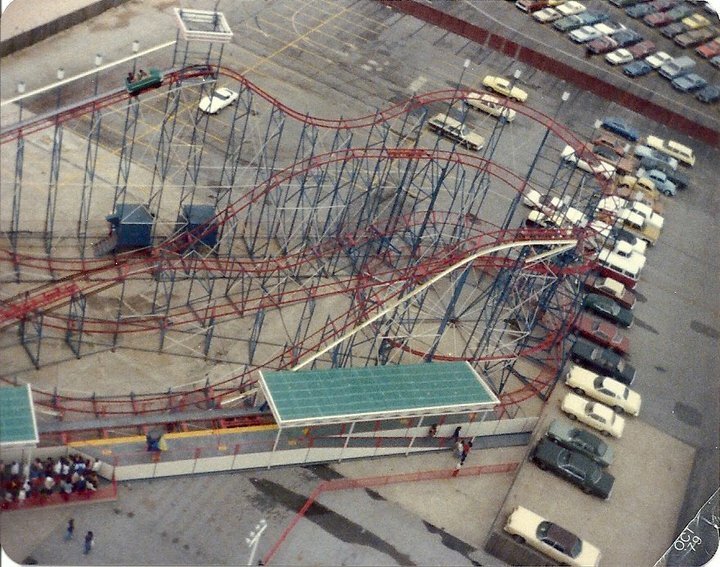 The next few pictures were taken in 1979 and they are of the “new” Wildcat, which was installed where the Jumbo Jet was from 1972 – 1978. If you look real close, you can identify some of the tell tale signs that the Jumbo Jet was there. 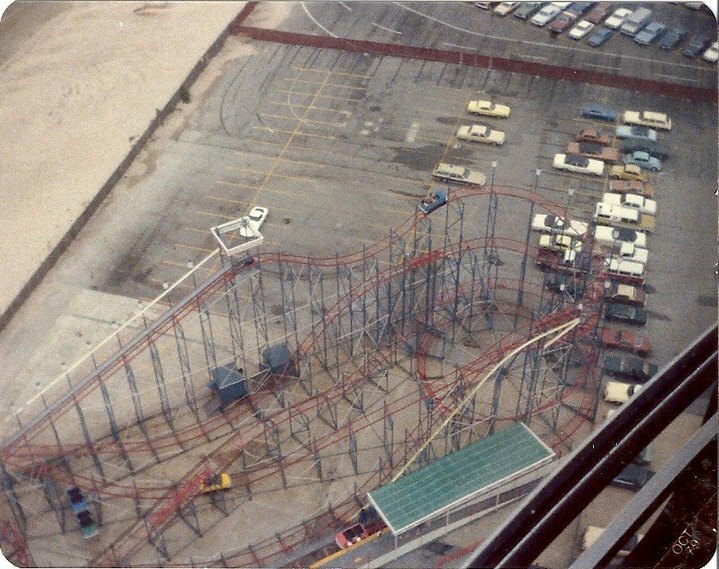 Things like where the old ride queue was, oil stains from various parts of the ride, oil stains from the old maintenance area. It is interesting to note that the WildCat in 1979 had the same colors as the Jumbo Jet. The only difference today is a change in the WildCat’s color and location and the Jumbo Jet is at DreamLand in Minsk Belarus. Let’s Ride! 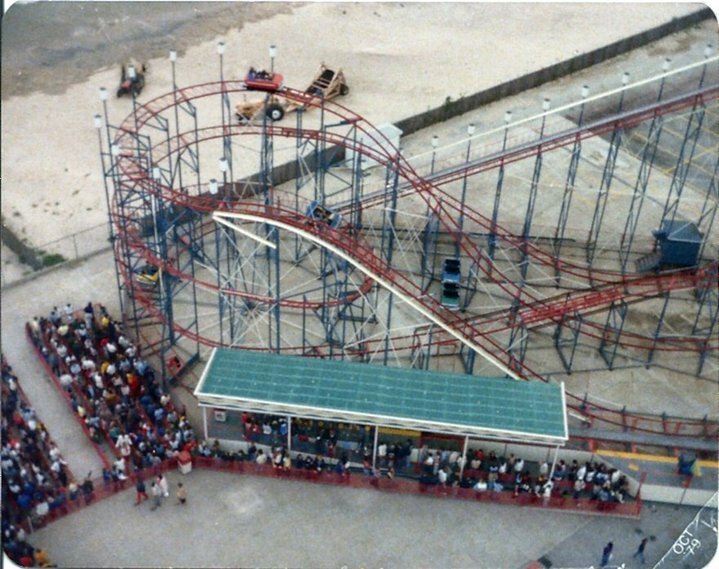 is this the same wildcat at Cedar Point today? Yep same WildCat…. Today it has a different color and a different location… Who knew that it started out the same color as the Jumbo Jet?